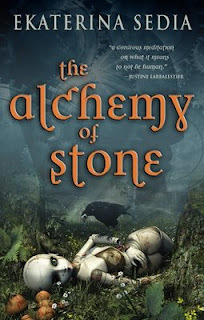 The Alchemy of Stone is a wonderfully thematic book. 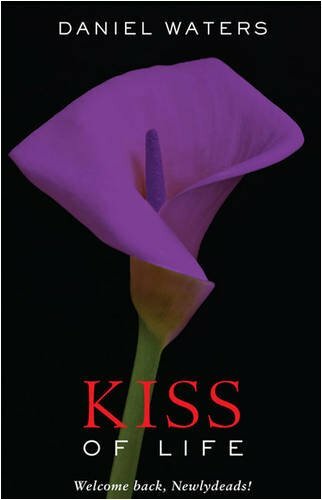 With concerns over alienation, immigration, origin, ownership, trust, power, and industrialization it’s a testament to Sedia’s skills as a writer that this book wasn’t longer. Though, the best things often come in the smallest of packages. In just under 300 pages, The Alchemy of Stone explores these themes (and others) through government, class, and what it means to be an automaton in a world full of humans. The alchemical government, for one, was one of the most interesting aspects of the novel. From the very start it’s a combination putting sides often opposed in the same arena and told to work together toward the same end. This is a bit like asking Church and State to get along and ignore the friction of their underlying belief systems. The awkward relationship is one of tension and thinly veiled hostility, but serves to represent on a larger scale the unique relationship between Mattie and Loharri. Release Date for The Wise Man's Fear Announced! I was a bit busy early this morning and so, was not able to post this right away, but it's true. Pat Rothfuss announced it on his blog and it's been spreading across the internet like wildfire. Eddie Russet has plans--big plans. He has a higher-than-average red perception, is developing an advance system of queueing, and is on half promise to Constance Oxblood, even if his poetry is a bit unimaginative. In Chromatacia where society is ranked according to their perception of color, Eddie, as a red, could do with moving up the spectrum. Although his poetry isn’t winning her over, Constance and the Oxblood family are eager to strengthen their hue. A marriage to Eddie would be socially secure. But Eddie’s plans quickly change when he’s relocated with his father to East Carmine, a city on the Outer Fringes. For Eddie, it’s an opportunity to conduct a chair census and learn some humility; for his father, it’s a temporary position to replace the loss of the town’s color swatchman. 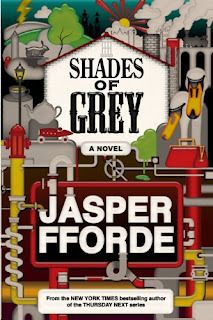 Fearful he’ll lose out to Roger Maroon for Constance’s hierarchal affections, Eddie’s completely preoccupied until he meets Jane, a rebellious Grey who, as a Grey, doesn’t even have a place on the scale. Ironically, it’s Jane who opens Eddie’s perceptions to a side of the Colortocracy he’s never thought of before and introduces him to doubt. Now Eddie begins to go against 20 years of indoctrination by questioning the rules and regulations intended to enforce a predictable, simplistic, and complacent lifestyle. Will he discover the “Something That Happened,” make it to High Saffron, or conform to social norms and marry into a family with an acceptable hue, all while avoiding the Mildew? Nailer scavenges dead ships for component parts--copper, scraps, sheeting, anything the shipping companies can buy and reuse in their sleek new Clipper ships. Since he’s still small in comparison to some of the other kids in Light Crew, he has the undesirable duty of crawling in spaces where people were not meant to crawl. 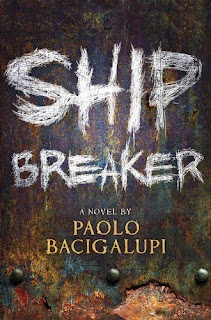 Eager to escape his life as a ship breaker and get as far away from his drunk, addicted, and abusive father as possible, Nailer is quick to bargain a deal with a girl found in a shipwrecked mess on another part of the island. Scouring the beach after a storm for anything of interest with his friend and crew mate Pima, they mistake Nita for dead. Rather than kill her and run with her valuables, the two have devised a plan sure to win them a Lucky Strike. With the promise of money to motivate them, Pima and Nailer begin imagining the possibilities that lay beyond their dirty and forgotten island. All they have to do is keep the Swank (slang for rich person, i.e. Nita) a secret from Richard Lopez. I went a little crazy this month - BookCloseouts.com is having a $1.99 sale on several genres. Naturally, I peeked at the SF/F sections and couldn't stop adding books to my cart. For about $25 (and change), including shipping and handling, I walked away with 6 hardcovers (one signed edition) and 1 trade paperback. I'm more than a little obsessed with that website. It makes it so difficult to resist my monthly book budget! This review will contain spoilers. 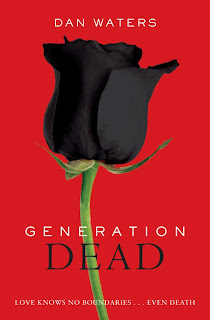 I don’t know how else I could review it without revealing information vital to the last few pages of Generation Dead. You have been warned. Kiss of Life is, first and foremost, a sequel. Most importantly, it’s a sequel that segues into the third and final Generation Dead book, Passing Strange (to be released this summer). It’s also the unfortunate victim of being 2 of 3--the fabled red-headed stepchild that doesn’t exactly bring the novelty of the first book, nor the closure of the third. It’s a tall order being book number two. I liked it, but not nearly as much as I did Generation Dead. Life is different for Phoebe now. Her best friend, Margi, is spending more of her time with Colette--her formerly living friend--after the two reconciled their guilt and hurt feelings. Her other best friend can barely talk; it’s considered a good day for Adam if he doesn’t keel over from an utter lack of coordination. Zombies tend to have severe cases of stiff limbs stubbornly refusing to recognize synapse signals and do what the brain so eagerly wants them to do: move. Adam, being a new differently biotic teen, wasn’t spared this experience. Perhaps in gratitude, or perhaps in guilt, Phoebe won’t leave Adam’s side longer than she has to. Can she sort out her feelings without ruining her relationship with Adam? Will she ever be able to forgive Tommy for not moving to save him? And just why didn’t Pete Martinsburg go into a coma so long and deep it removed him from the narrative for at least three quarters of the story? There’s a lot of physics in this book--physics and a deep preoccupation with global warming or, as it’s more recently been called, climate change. 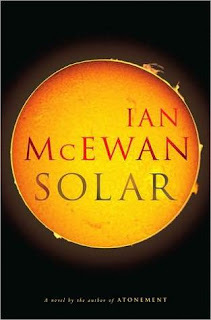 I suppose it wasn’t in Pete’s best interest that I asked if I could quote him some passages from Solar, a few days before he took the EIT, to see if Ian McEwan’s grasp of certain theories was correct. The poetics of certain musings relied on the science being described; I wanted to understand everything as clearly as I could. I forgot the cardinal rule of dating an engineer: never ask for an explanation unless you have plenty of time to hear the answer. I didn’t and so, the conversation had to be cut short. In the crazy rush of last minute test prep and the long 8 hour exam, I didn’t ask again, but really, I feel, the book gets the point across, if a little haltingly. The physics, Pete said, were OK, but McEwan tended to jump around a lot. 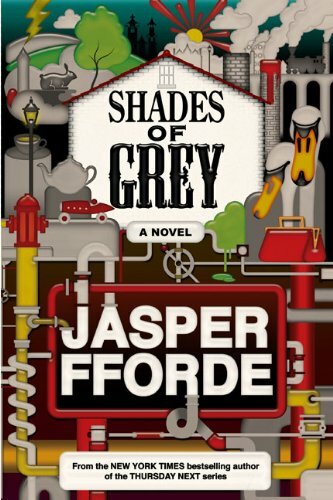 Really, I have no other way of explaining this other than to say: you need to read this book. The underlying fiction of the physics (the expository extrapolation), the connections drawn between the literature and science, the magic that comes of Ian McEwan’s transformative diction and phrasing makes quantum mechanics and Heisenberg’s principle transcend science and reach an entirely new literary understanding. The jumpiness fits well with the character of Michael Beard, a theoretical physicist who wins a Nobel Prize for his pioneering work in physics. Beard is an egotistical man riding the success of his award well past the point where he’s stopped researching and begun impatiently lecturing wayward postulations on the theorems and science he knows best. 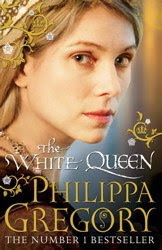 The White Queen by Philippa Gregory is a little special to me, and not just because I really, really loved reading it. It was the first review I posted to JRT when I created the blog in August, even though I'd read the book in June. I was that excited about it. Thanks to the fabulous Ally at Simon & Schuster UK, I have a surprise for you! The paperback release of The White Queen was April 15th (today). To celebrate, JRT is giving away 5 copies! Contest closes April 29th - 5pm PST. That's it! The contest is open internationally. You must provide an e-mail address so I can contact the winner for mailing information at the end. The big difference you'll see is these reviews are shorter and unrated. I think it's unfair to judge these on the same merits as I do normally since they've already got one thing against them, not being books I'd pick out on my own. Oakvale High has one of the highest concentrations of the living impaired--zombies, if you will--in the greater Connecticut area. When the school gets the opportunity to host a program by the Hunter Foundation for the Advancement of Differently Biotic Persons, Phoebe Kendall signs up right away. She convinces her best friends, Adam and Margi to join her, but neither is as enthusiastic or as politically-minded as Phoebe. Will Pete Martinsburg--the resident Bad Apple--make high school even more miserable than it already is? Or will the contentious integration fail before it’s even had a chance to get off the ground? 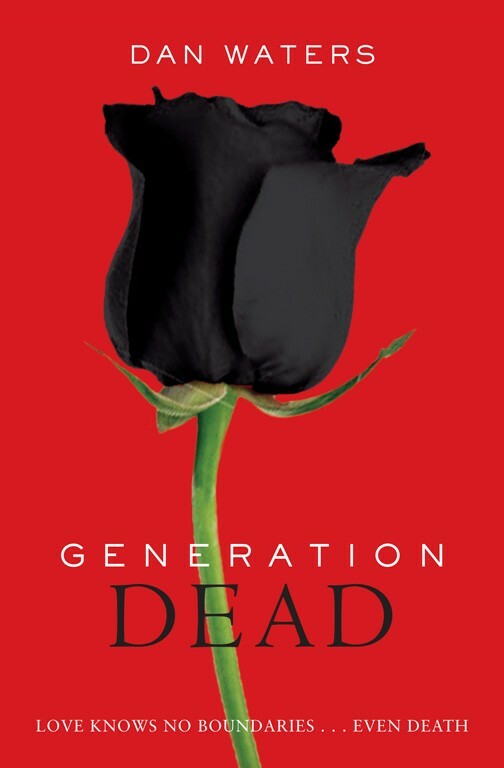 Generation Dead is an ambitious social commentary on prejudice and discrimination. As if high school wasn’t difficult enough, Dan Waters contemplates the consequences of random zombification--a phenomenon singular to American teenagers where death is not the end, but rather the beginning of an entirely new set of problems. So many rights end at death that some legislators argue the “living impaired” should have the same designation as illegal immigrants, with all the inequality and intolerance that provokes. No one can really explain why some teenagers, and only American teenagers, aren’t staying dead. Of several theories (mold spore, too much junk food, Chernobyl fallout video games, signs of the coming Apocalypse, religious fervor), only one thing remains true: zombies need a brain to survive in their new state of being. This makes them a bit more vulnerable than one might imagine. Lately I've noticed the amount of books I've read that have zombies in them has been increasing. This hasn't been intentional--I don't particularly like zombies; I don't particularly hate zombies. I'm pretty ambivalent about the walking dead, or whatever endearing euphemism you want to use. The only explanation I have for this rare surge in niche fiction is best expressed through one word: accidental. The year is 2039 and bloggers have taken over the world. Twenty five years ago the Kellis-Amberlee virus went live. Infected humans and animals began reanimating after death--some underwent spontaneous change--to become walking feeding machines. 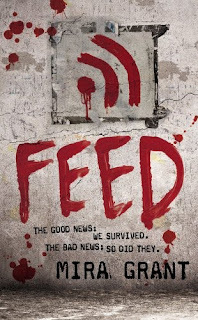 With an appetite for the truth as insatiable as a zombie’s diet, Georgia--George--Mason and her brother, Shaun, have climbed the ranks of news bloggers around the world. Their ratings have everything to gain from their recent invitation to join a senator’s political campaign. Now they’re on the road providing coverage of what’s promising to be the campaign trail for the next President of the United States of America. There’s only one problem: wherever they go, KA begins breaking out, putting the team at risk. Will they survive to see their candidate win the Republican ticket? 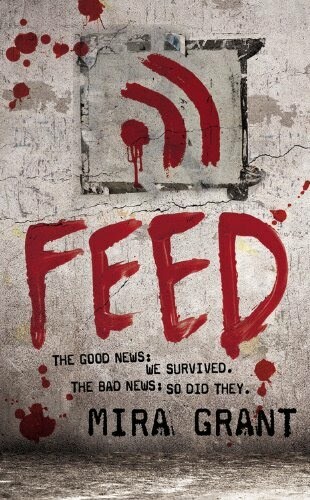 Feed is Seanan McGuire’s third published book, but first under the pen name Mira Grant. Fans of her October Daye books will recognize some similarities between the two series. Mainly, these are minor--writers will invariably develop quirks that nuance their writing. Georgia is an independent, no-nonsense workaholic with a license that requires her to carry a gun and a disease that makes it impossible for her to cry. Clearly Grant likes writing strong female protagonists. They lean toward the flinty end of the spectrum and stop just short of growling when not amused. Dana expected a quiet day in her new home to celebrate her 26th birthday by unpacking boxes with her husband. It isn’t very long at all before she becomes dizzy and quite suddenly disappears. Instead of being surrounded by piles of books, she’s surrounded by nature and confronted with a choice: save a boy in the river from drowning or remain in shock and hope it’s all a dream. The next few weeks of Dana’s life prove to be some of the worst. As she’s repeatedly pulled backwards and forwards in time between 1976 California and an 1819 ante-bellum Southern plantation. Her fate is tied with that of the plantation owner’s son, Rufus. Until she can figure out who he is, what he was meant to do, and why she continues to travel through time, Dana is in danger. 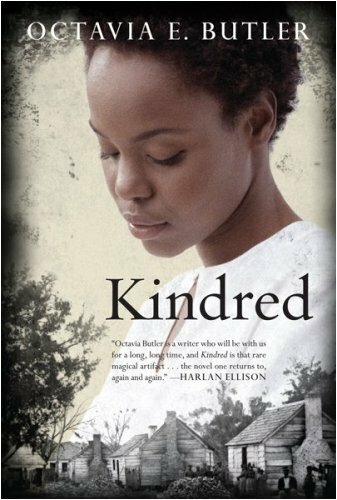 The ante-bellum South is no place for a black woman living in the 20th Century; to make matters worse, each time Dana returns, her visits are longer and the consequences more dire. Will Dana become stuck in time or will she die before she has a chance to return home? Kindred begins at the end. An ominous and unexplained prologue lifted from the last chapters of the book left me feeling anxious and uneasy. This was compounded by the narrative not resuming that conclusive thread until the epilogue. Knowing what ultimately happens to Dana at that point didn’t spoil the suspense of wanting to know how she got there. The journey is what made this book utterly compelling. That disruption in what would otherwise be a linear narrative jarred me into understanding nothing would be as expected in this novel. Everything, even time and the frame of the narrative itself, would be challenged. The rules are listed here. If you have any questions, please look there first and ask for clarification as a comment second. I need this to be as hands-off for me as possible. That will leave me more time to dedicate to reading these books and writing reviews and discussion sections for YOU! There are a couple of things to consider: For May, the last Long Price Quartet book, The Price of Spring, is only available in hardcover right now. For August, the lastest Inda Quartet book, Treason's Shore, won't be out in mass market until October, but it is available as a hardcover until then. You can decide if you are able to get these titles from your local library or new & used bookstores; it may even factor in whether you want to participate those months at all. I leave that up to you. 1. I tutor adults in English; I'm currently helping my student become a US citizen; integrating history lessons with my duties as an ESL tutor is a bit difficult. 2. My little cousin was accepted to my alma mater for fall admission- we took a walking tour of campus; she realized I knew as much as the tour guide when her information became an echo of mine. I've suddenly become a larger resource. 4. I'm a bridesmaid in a cousin's fall wedding. It's time to choose dresses. 5. Pete (my SO) has applied to a position in San Jose (very close to where I am); this is exciting, but adding to my anxiety and increasingly scatter-brained-ness of the past few weeks. I'll be honest with you, readers: I never stop being amazed at 1: how many good books are out there and 2: how many kind and generous publishers let me read their titles. I must be doing something right. Unfortunately, there is no special giveaway with this Book Faeries post. You'll have to settle for an eclectic assortment of titles I'm excited to read. Hopefully, you'll see something that interests you as well? It's award season! Voting for the Nebula award just ended on Tuesday, but JRT readers had an extra day to speculate and voice their opinion on the most recent poll featured here.